T-Mobile USA parent company Deutsche Telekom announced on Wednesday that it has reached an agreement to merge MetroPCS and T-Mobile USA. 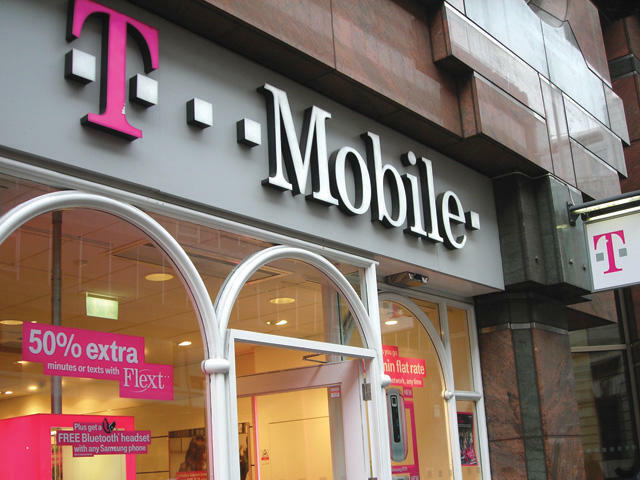 The two carriers will operate under the T-Mobile USA brand and said that the merger will allow T-Mobile to compete more aggressively with Sprint, Verizon and AT&T. Under the transaction, which was approved by the board this morning, MetroPCS has promised to provide a $1.5 billion cash payment to its shareholders. "We are extremely pleased to announce this transaction with MetroPCS, which enhances Deutsche Telekom's position in the expanding U.S. wireless market," said René Obermann, Chief Executive Officer of Deutsche Telekom. "The T-Mobile and MetroPCS brands are a great strategic fit – both operationally and culturally. The new company will be the value leader in wireless with the scale, spectrum and financial and other resources to expand its geographic coverage, broaden choice among all types of customers and continue to innovate, especially around the next-generation LTE network. We are committed to creating a sustainable and financially viable national challenger in the U.S., and we believe this combination helps us deliver on that commitment." T-Mobile's new CEO John Legere will remain as the head of the company while MetroPCS CFO and vice chairman J. Braxton Carter will serve as the CFO. Deutsche Telekom said the combined carrier will have an estimated 42.5 million subscribers and $24.8 billion in revenue for the year. The merger is still subject to regulatory and shareholder approval but is expected to close during the first half of next year. BONN, Germany & BELLEVUE, Wash. & RICHARDSON, Texas–(BUSINESS WIRE)–Deutsche Telekom (XETRA: DTE) ("Deutsche Telekom") and MetroPCS Communications, Inc. (NYSE: PCS) ("MetroPCS") today announced that they have signed a definitive agreement to combine T-Mobile USA ("T-Mobile") and MetroPCS. This transaction will create the leading value carrier in the U.S. wireless marketplace, which will deliver an enhanced customer experience through a wider selection of affordable products and services, deeper network coverage and a clear-cut technology path to one common LTE network. The combined company, which will retain the T-Mobile name, will have the expanded scale, spectrum and financial resources to aggressively compete with the other national U.S. wireless carriers. "We are extremely pleased to announce this transaction with MetroPCS, which enhances Deutsche Telekom's position in the expanding U.S. wireless market"
Deutsche Telekom's supervisory board and MetroPCS' board of directors approved the transaction. The transaction is structured as a recapitalization, in which MetroPCS will declare a 1 for 2 reverse stock split, make a cash payment of $1.5 billion to its shareholders (approximately $4.09 per share prior to the reverse stock split) and acquire all of T-Mobile's capital stock by issuing to Deutsche Telekom 74% of MetroPCS' common stock on a pro forma basis. Deutsche Telekom has also agreed to roll its existing intercompany debt into new $15 billion senior unsecured notes of the combined company, provide the combined company with a $500 million unsecured revolving credit facility and provide a $5.5 billion backstop commitment for certain MetroPCS third-party financing transactions. The combined company will be a stronger competitor and will be well-positioned to drive future growth. Based on analyst consensus estimates for 2012, the combined company is expected to have approximately 42.5 million subscribers, $24.8 billion of revenue, $6.3 billion of adjusted EBITDA, $4.2 billion of capital expenditures and $2.1 billion of free cash flow (defined as EBITDA less capital expenditures) in 2012. Using its stronger network to advance its B2B offerings and MVNO platform. Having increased financial flexibility with direct access to the debt and equity capital markets. John Legere, President and Chief Executive Officer of T-Mobile, said: "The combination with MetroPCS is another logical and significant step that will accelerate our Challenger Strategy and enable us to deliver amazing, affordable and trusted 4G services, while providing opportunities to expand geographic territories and serve more customers. Our enhanced spectrum position will be the foundation for a faster and more reliable network, and will allow us to deploy a deeper and more robust LTE rollout, particularly in major metropolitan areas. We will be a stronger, value-focused competitor, providing customers with offerings such as our Unlimited Nationwide 4G Data and 'bring your own device' plans. These features, along with our ability to react with greater speed and effectiveness to customer and market opportunities, will deliver value to our customers, business partners, employees and shareholders." Roger D. Linquist, Chairman and Chief Executive Officer of MetroPCS, said: "We are excited about this agreement to combine with T-Mobile, which, upon closing, provides our shareholders with an immediate cash payment and allows them to participate in the significant upside potential of the combined company. Through the convergence of both companies to LTE technology, the combined company will provide cutting-edge 4G LTE services and accelerate its roll-out of 4G LTE. In addition, this combination will allow MetroPCS to expand its no-contract offerings into new major metro areas and enhance our combined spectrum portfolio, which provides the potential to offer 4G LTE over at least a full 20×20 MHz in many metro areas. Importantly, MetroPCS and T-Mobile have the same network strategies and LTE networks in the same spectrum bands, which we believe will accelerate the deployment of advanced services to our customers. Ultimately, this combination will create a stronger wireless provider nationally with broader value offerings to better serve our combined customers and drive shareholder value." Upon consummation of the transaction, the combined company is expected to continue trading on the New York Stock Exchange. Mr. Legere, currently President and Chief Executive Officer of T-Mobile, will serve as President and CEO of the new company and J. Braxton Carter, currently Chief Financial Officer and Vice Chairman of MetroPCS, will be the CFO. The company will operate T-Mobile and MetroPCS as separate customer units, led by Jim Alling, currently Chief Operating Officer of T-Mobile, and Thomas Keys, currently President and Chief Operating Officer of MetroPCS, respectively. After closing, the company's headquarters will be in Bellevue, Washington and it will retain a significant presence in Dallas, Texas. The combined company will have an 11-member board of directors, including a number of members appointed by Deutsche Telekom consistent with its equity ownership. The transaction is subject to MetroPCS shareholder approval, regulatory approvals and other customary closing conditions. The transaction is expected to close in the first half of 2013. Morgan Stanley acted as lead financial advisor and issued a fairness opinion to the supervisory board of Deutsche Telekom. Lazard acted as financial advisor to Deutsche Telekom. Wachtell, Lipton, Rosen & Katz, Cleary Gottlieb Steen & Hamilton LLP, K&L Gates, and Wiley Rein LLP are serving as legal counsel to T-Mobile and Deutsche Telekom. J.P. Morgan acted as lead financial advisor to MetroPCS and also advised MetroPCS with regard to post transaction capital structure. Credit Suisse Securities (USA) LLC also acted as a financial advisor to MetroPCS. Evercore Partners acted as financial advisor to the special committee of the Board of Directors of MetroPCS and issued a fairness opinion. Gibson, Dunn & Crutcher LLP, Paul Hastings and Telecommunications Law Professionals are serving as legal counsel to MetroPCS. Akin Gump and Fulbright & Jaworski served as counsel to MetroPCS' special committee.